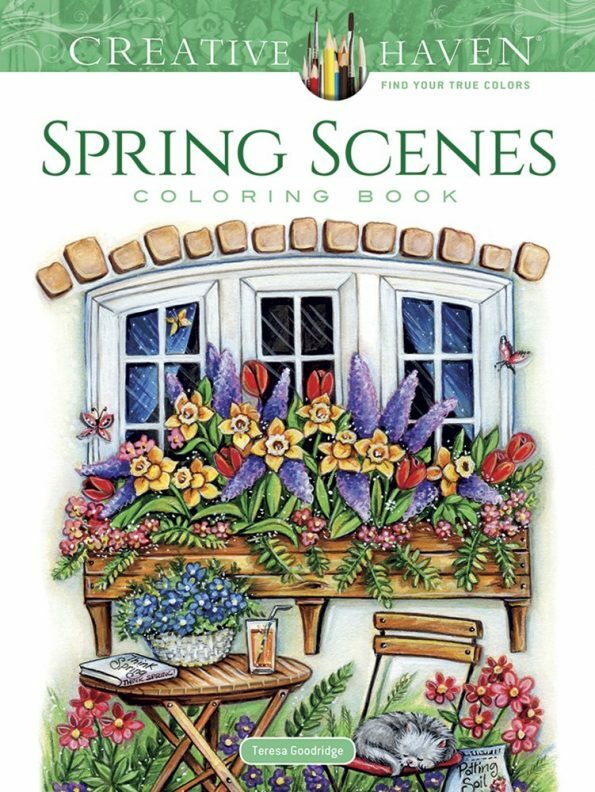 A gorgeous coloring book full of fun and beautiful Springtime scenes. 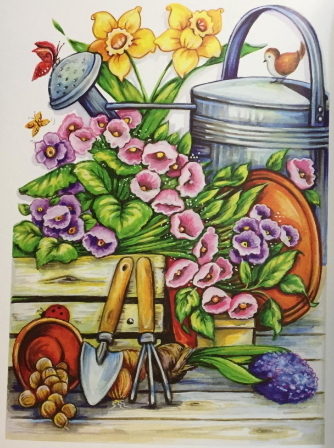 It's a little different from other Creative Haven books in that is it perhaps a bit less whimsical and there is much less use of patterns to fill the spaces. I would say the scenes have a more "traditional" illustration style. A few customers have complained of some drawings with over-thick black lines. 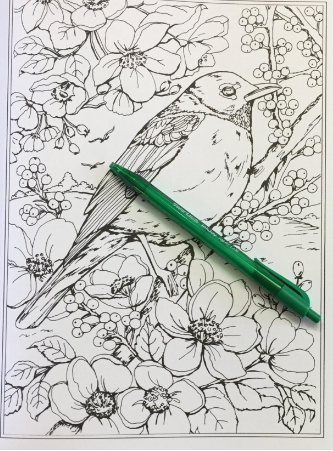 And there are instances where small spaces are either filled in black or just too small to color in, as though the illustrations had been reduced down in size for publication. But I didn't find the occasional heavy outlining to be overwhelming. And I personally don't mind a some black accents in a drawing. 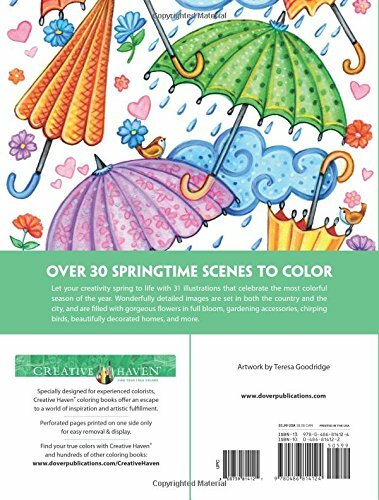 Most reviewers agree that the book boasts beautiful drawings with plenty of detail for coloring and creativity. You'll find charming scenes with a nice variety of locations and subjects. 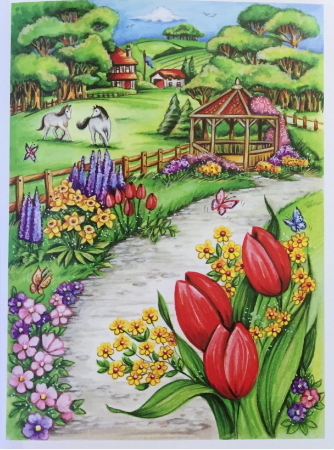 You'll travel from the country to the city and find gardens, flowers, birds, homes and little critters to brighten your spirits.